Daltaí TY ag taispéantas i GMIT inniu. Maith sibh as an obair iontach a rinne sibh faoi stiúr mhúinteoir Turlough. 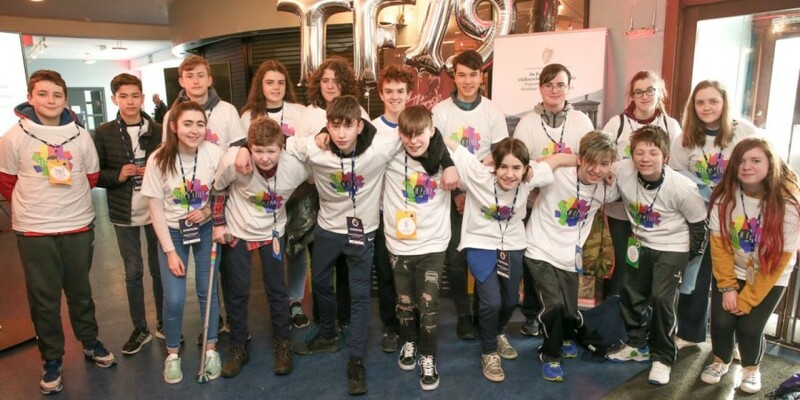 D’fhreastail mic léinn ó fud fad na hÉireann ar ‘Tech Féile’ náisiúnta i nGaillimh ar na mallaibh. I measc an tslua, bhí ionadaíocht mhór ó Choláiste an Eachréidh. 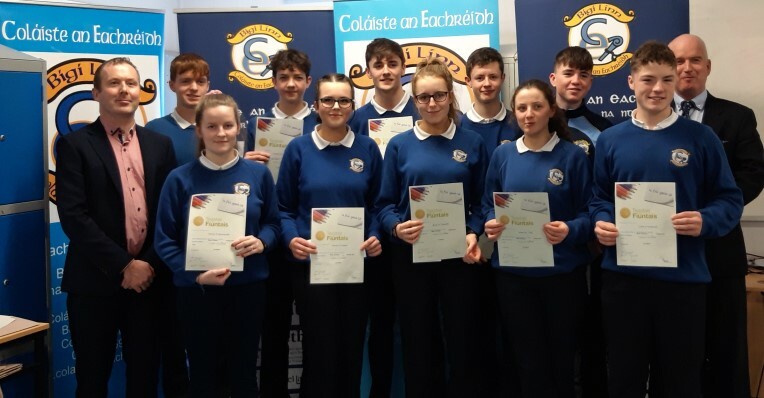 Bhí deis ag daltaí an choláiste a bheith ag comhoibriú le daltaí ar chomhaois leo féin agus iad i mbun ceardlanna i gcódáil, i bpodchraoltaí, i gcluichí agus go leor eile. Cinnte, bhí deis acu uile tabhairt faoin teicneolaíocht ar bhealaí cruthaíochta. Caithfidh comhghairdeas ó chroí le Adam ach go háirithe agus é aitheanta mar ‘códóir na bliana’. 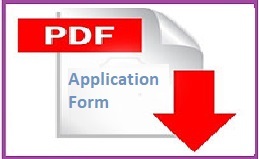 Ar mhaithe lena thuilleadh grianghrafanna agus físeán a fheiceáil is cluas a thabhairt le héisteacht le Máistreas Bairbre ag caint faoin ócáid, cliceáil anseo. 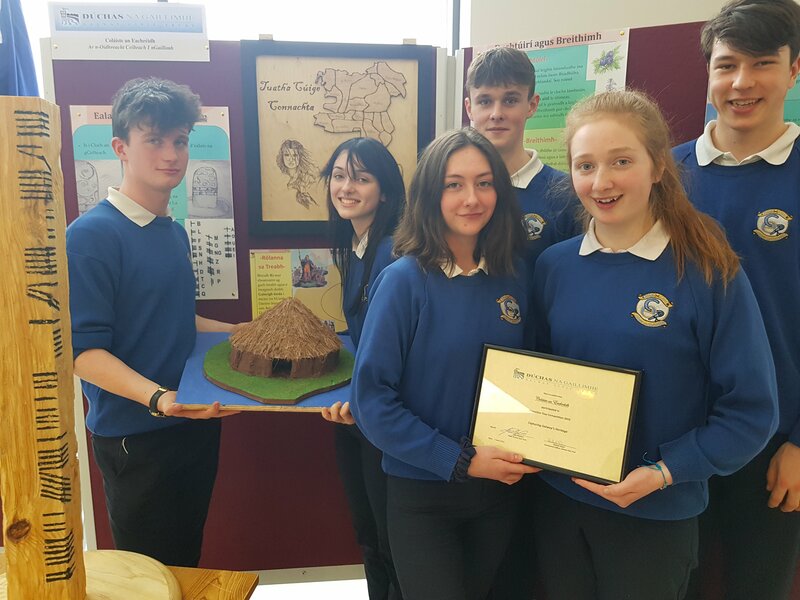 Coláiste an Eachréidh was well represented at the national Tech Féile that was held in Galway recently. Comhghairdeas leo ar fad! Bhí rang Ardteiste ar cuairt ar Bhéal Feirste ar na mallaibh. I gceist acu níos mó eolais a fhoghlaim fá stair na Sé chontae ón dara chogadh domhanda go dtí cúrsaí reatha fá láthair. Bhí seans acu foghlaim fá mhuintir na háite, fá Ghluaiseacht na Gaeilge agus fá thimpeallacht na háite chomh maith. Ar an bhealach, bhí seans ag na daltaí dul thart ar bhóithre an teorainn is cuairt a thabhairt ar leacht comórtha do Sheán Sabhat. Nuair a bhain siad Béal Feirste amach, thug siad aghaidh ar phríosúin ‘Crumlin’. Tugadh ar camchuairt iad thart ar chillíní, ar oifigí, ar an chlós agus bhí idir mhaith is olc le feiceáil acu. Níor mhothaigh éinne ró-chompordach ar uairibh. A luaithe is a d’éalaigh siad ón phríosún, thosaigh siad ar shiúlóid sléibhte agus iad ag foghlaim i dtaobh scéalta ó aimsir na gCeilteach go dtí aimsir an dara chogadh domhanda. 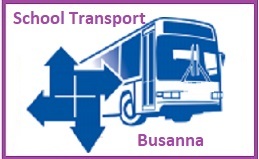 Ba mhór an meas a bhí acu ar an nasc idir na hÉireannaigh Aontaithe is Dún Mhic Airt. An tráthnóna sin, bhuail siad isteach ar chumann óige i nGlór na Móna agus oifigeach óige na heagraíochta i mbun cainte leo. 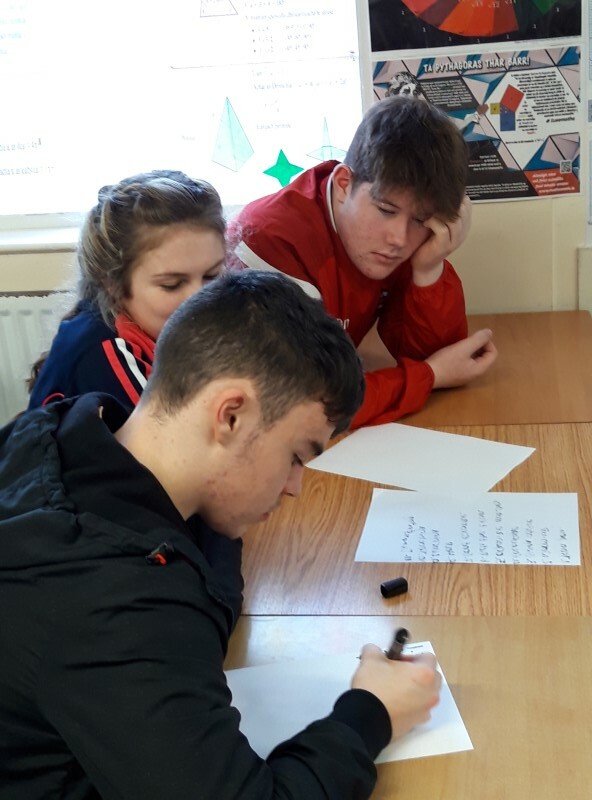 Caithfidh a rá go raibh fáilte mhór tugtha dóibh i gColáiste Feirste ina bhfuil suas le 700 dalta agus áiseanna den scoth acu. Chuir siad aithne ar roinnt de na daltaí a bhí mar threoraithe acu. Bhí fáilte speisialta curtha rompu arís ag ‘Raidió Fáilte’, áit ina raibh deis acu tabhairt faoi chlár raidió a thaifead. Tháinig críoch lena gcamchuairt sa ‘Cultúrlann’ atá fós aitheanta i gcroílár ghluaiseacht na Gaeilge ó thuaidh. Staraithe agus Gaeil bródúla a tháinig abhaile! 5th Year History students had a great opportunity to live out some of the fascinating history of Belfast on a recent trip north. They also had the chance to meet up with many of those involved in the Irish language movement in the city. A short brief trip and an experience for all. Comments Off on Béal Feirste Abú! 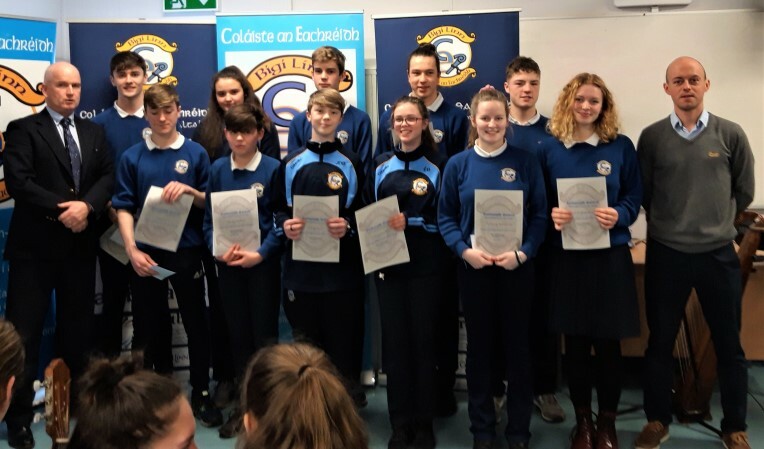 Bhí réimse leathan ceardlanna eagraithe le deireannas ar mhaithe le scileanna éagsúla a fheabhsú do scoláirí i gColáiste an Eachréidh. Bhí an deis ag scolairí sinsearacha cur lena scileanna cruthaíochta mar scríbhneoirí scripte agus Darach Mac an Iomaire ar cuairt. 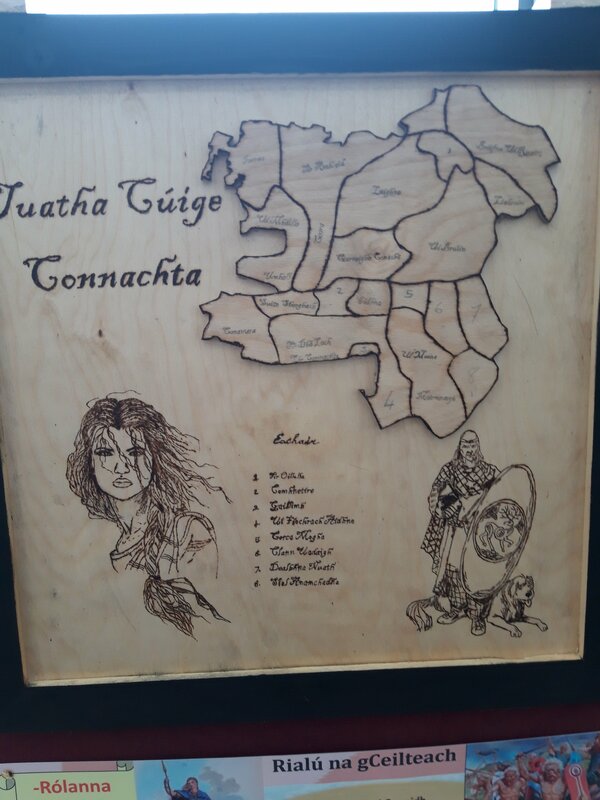 Is cosúil gur tugadh léargas don ghrúpa conas tabhairt faoi script gearrscannáin a scríobh agus ní fios, seans go mbeidh cuid dá saothar le feiceáil amach anseo. 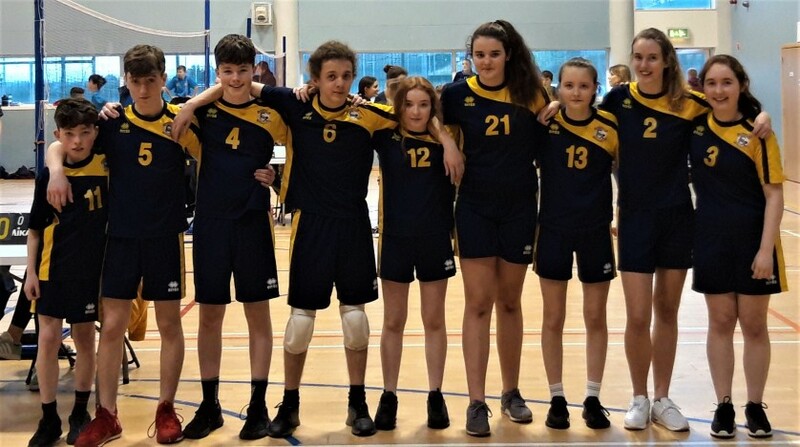 Chaith comhlacht ghairmiúil lá iomlán i gcuideachta le scoláirí Bliain 2 & Bliain 5 agus iad ag tabhairt faoi mholtaí ar leith conas tabhairt faoi staidéar i gceart. Cinnte, beidh scileanna staidéir fíor-riachtanach agus daltaí ag tabhairt faoi scrúdaithe stáit! Mar aon leis an mhéid sin, tugadh léargas do gach uile dalta sa scoil ar chúrsaí sábháilteachta ar líne. Ar ndóigh, caithfidh cách a bheith ar an eolas maidir leis na contúirtí gur féidir a bheith ann dúinn ar fad agus muid ag tonnmharcaíocht ar líne. Ní amháin go raibh deis ag scoláirí foghlaim fá na contúirtí atá i gceist anseo leis na meáin sóisialta is eile ach bhí oíche speisialta eagraithe do thuismitheoirí ar an topaic chomh maith. Coláiste an Eachréidh recently organized a series of various workshops for students and parents dealing with improving students’ creative writing skills, study techniques and safety issues on-line. 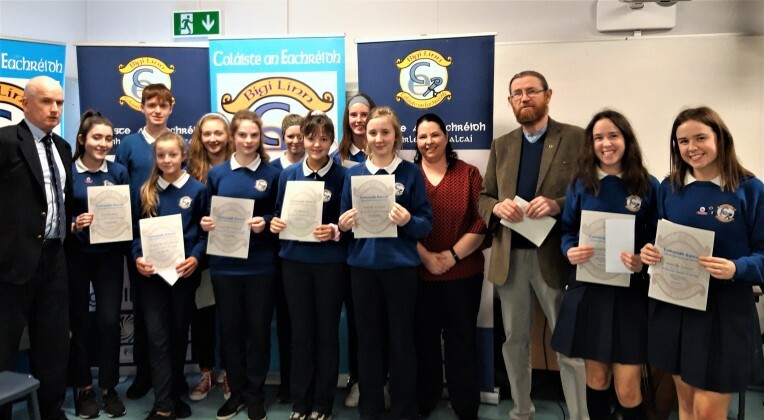 Caithfidh a rá go bhfuil an t-ádh dearg ar dhaltaí an choláiste agus réimse leathan imeachtaí spóirt ar siúl i rith an ama. 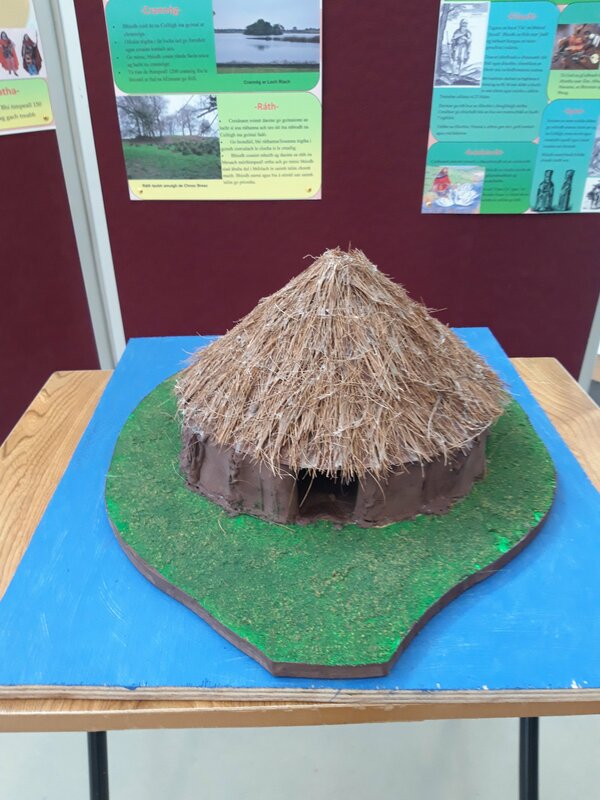 Tá go leor foirne ag an scoil agus is iomaí gradam atá buaite ag daltaí aonaracha is mar ghrúpaí ag leibhéal scoile, áitiúil, go náisiúnta is go hidirnáisiúnta fiú. iarrachtaí leanúnacha le linn na ngníomhaíochtaí sna ranganna corpoideachais i rith na scoilbhliana. Bliain 1: Theo, Sarah, Caoimhe, Danielle, Ciarán, Jason, Leah & Jack. Bliain 2: Amy, Leah, Eilis, Jack, Éanna, Aoibhe, Lúc & Cianna. Bliain 3: Éva, Ruairí, Oisin, Raphi, Eoin, Seán, Kialynn & Conor. Idirbhliain: Máirtín, Ruairí, Ailbhe & Miz. Bliain 5: Jenny, John, Deirdre, & Máirtín. 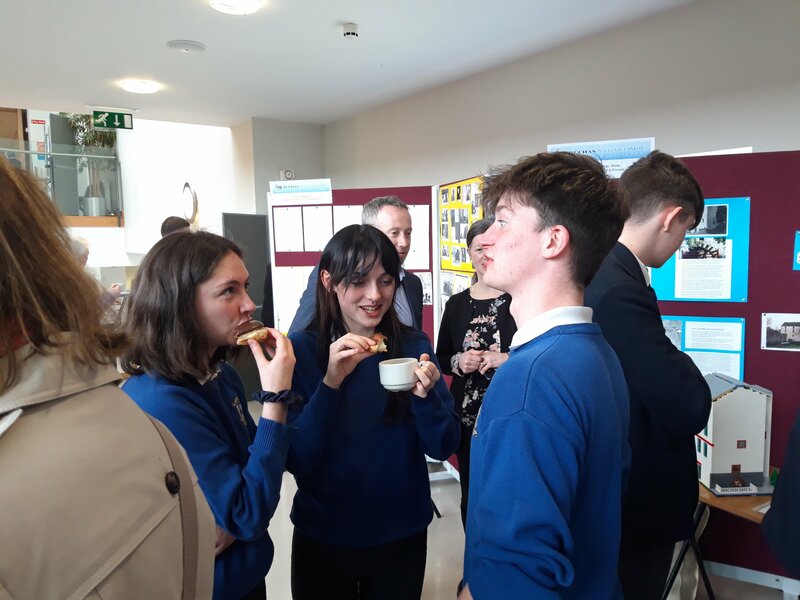 Rang Ardteiste: Mollaí, Jack, Orla & Ciarán. 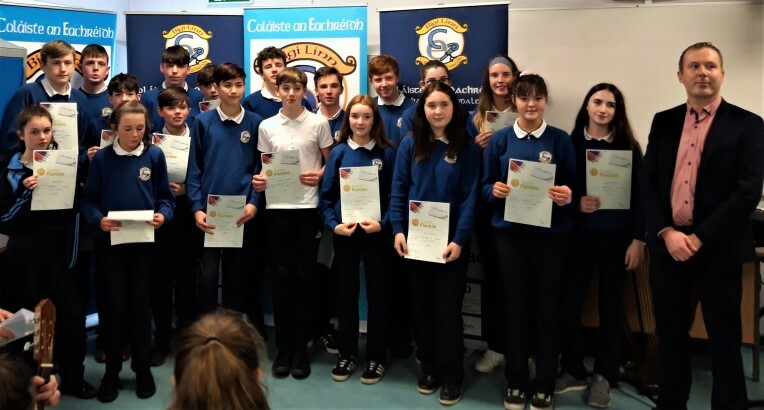 Special recognition was awarded Nollaig ’18 to all those students making special effort in sport who achieved the status of ‘PE Student of the month‘. Beirigí Bua i gcónaí! Comments Off on Is mór an Spórt é! Leadership Awards were presented to students who excelled in demonstrating leadership qualities in their dealings with staff and fellow pupils. Maith sibh! 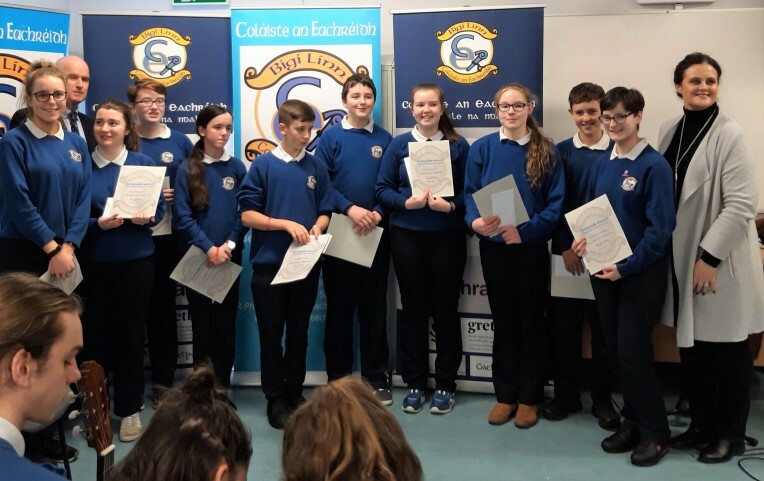 Obair Ranga awards were presented to students who excelled in their classwork and whose application to their studies was particularly commendable. Leanaigí oraibh leis an dea-obair! Bliain 5: Harry, John, Hannah, Conor, Seán & Emily. Rang Ardteiste: Oisín, Alana, Karen & Hannah. Congratulations to the all the students who attended school every day until Christmas. 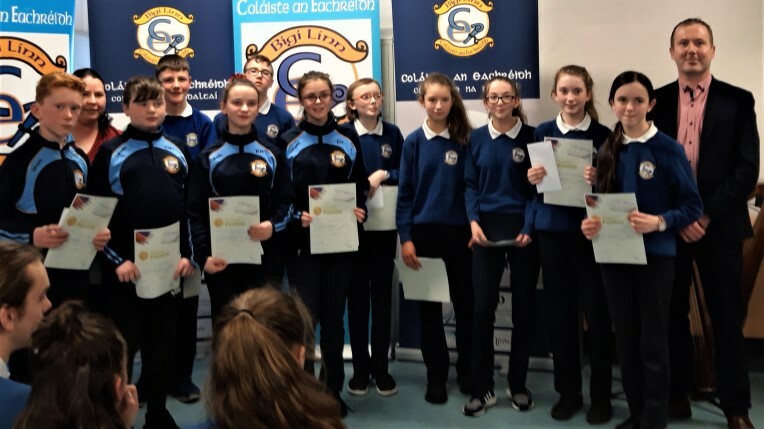 They were all rewarded for their perfect attendance as part of the Ceiliúradh Gaisce ceremony held just before Christmas. Comhghairdeas leo uilig! Comments Off on Ar Scoil Gach Lá! Gradaim Gaeilge bronnta ar Danielle, Sarah, Éilis, Kate, Eva, Raphi, Seanie, Réitseal, Seán, Mollaí, Mairidh agus Eibhlín. Máistreas Bairbre leis na hOifigigh atá ag an gCoiste Gaeilge; Conchúr, Mollaí, Eibhlín, Leah, Mairidh is Emily. 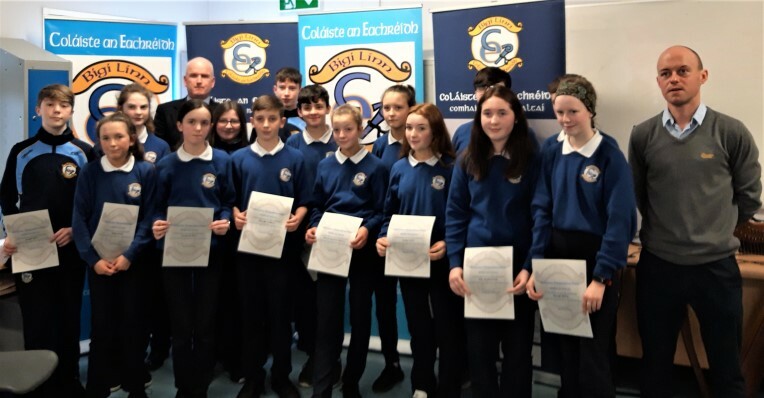 Ghlac Máistreas Bairbre leis an deis comhghairdeas ó chroí a ghabháil leo siúd atá ag obair go díograiseach le Gaelbhratach a bhuachan athuair don Ghaelcholaiste. Níl siad ag glacadh leis go mbeidh an gradam bronnta orthu gan obair a chur isteach. 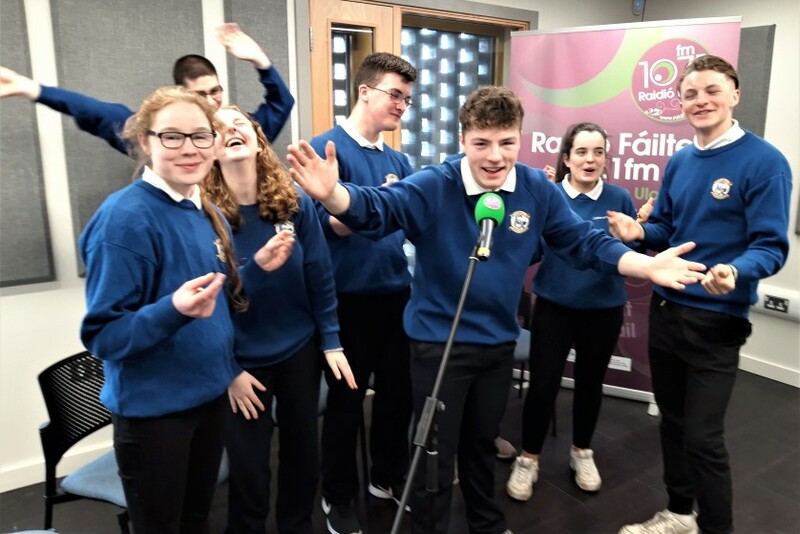 Cinnte, tá obair cheannródaíochta déanta ag Coláiste an Eachréidh thar na blianta agus é ar intinn ag an Coiste Gaeilge go leanfar leis an obair eiseamláireach. Tuilleadh eolais fán Ghaelbhratach cliceáil anseo. Ní amháin sin ach tugadh aitheantas speisialta go poiblí do na foirne díospóireachta idir shóisear agus sinsear a rinne éacht i mbliana agus an dá fhoireann cáilithe do bhabhtaí ceannais Chúige Chonnachta. 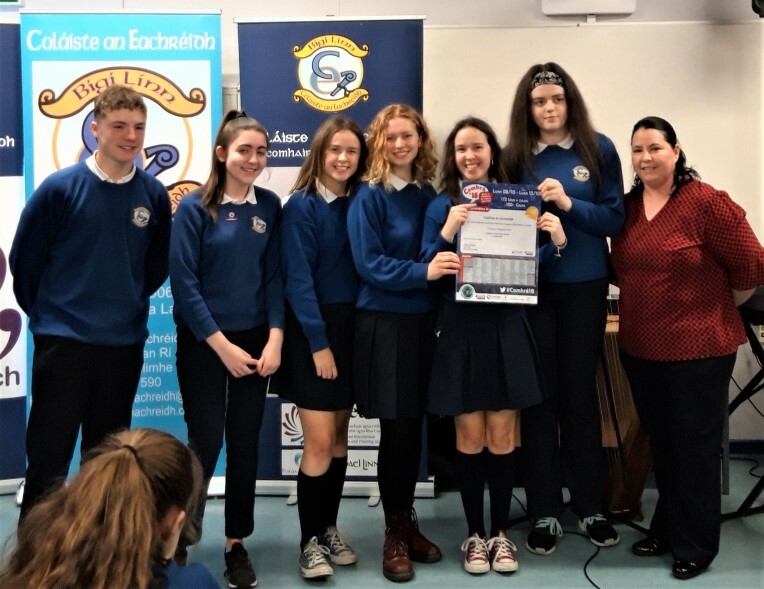 Cinnte, bhí an-obair go deo déanta acu i mbun ullmhúcháin le Máistreas Nóra agus iad páirteach i gcomórtas náisiúnta eagraithe ag Gael Linn. Tá Coláiste an Eachreidh thar a bheith bródúil astu ar fad. Tuilleadh eolais faoi na díospóireachtaí cliceáil anseo. 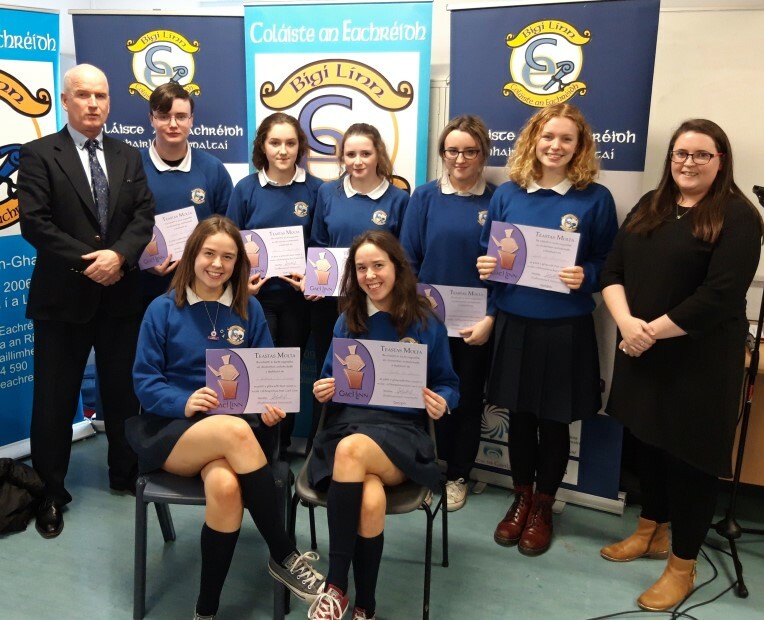 Gradaim Gaeilge awards presented to representatives from each class, to the Coiste Gaeilge for award winning work for Gaelbhratach and to the Junior and Senior debating teams. Comhghairdeas leo ar fad!